Is Your Construction Website Missing These Key Elements? A well-designed website can bring you new leads every week, but with so many possibilities for design, it’s easy to leave out a critical element or two. Reviewing your site for important business website elements that might be missing will quickly show you where you can improve. If you want your visitors to interact with your site and contact you, to need to lead them through the process. Look at your site with your objectives in mind. These might be getting your visitors to sign up for a newsletter, download a case study or fill in a contact form. Your site design should provide a clear, logical path for visitors to take to get the information they want, learn about your services, and then supply their contact details. Features that demonstrate your credibility and expertise are among the most valuable business website elements. This starts with your business address and phone number, along with other contact methods such as Skype or your social media handles. Create an About page that offers insight into your firm’s background and ideals. Include photos of your team and don’t be afraid to throw in a candid shot or two to help humanize your firm. Provide testimonials, on video when possible, along with the logos of your satisfied clients. Any awards your firm has won deserve a prominent place on the homepage. Publishing authoritative, in-depth content such as case studies, white papers, and data analysis can help, too. If a form on your contact page is the only encouragement you’re offering for visitors to contact you, you’re missing out on new leads. To draw in more, offer a monthly newsletter with audience-targeted content, such as tips on planning a home renovation project or trends in sustainable building. Make some of your popular long-form content, such as case studies, available only in exchange for an email. Keep your sign-up forms as simple as possible. For more ideas on which business website elements will benefit you most, contact us at Construction Monitor. 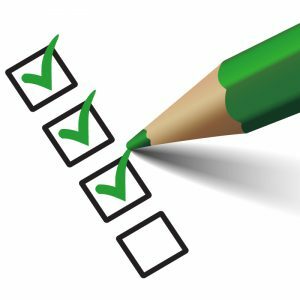 Posted on October 31, 2017 November 4, 2017 Author David MineerCategories NewsTags lead generation website, website checklistLeave a comment on Is Your Construction Website Missing These Key Elements? Planning a construction project requires extensive research, meaning your potential clients are out there looking for reliable information long before they choose a construction firm. With a clear inbound marketing plan, you can turn your website into a magnet that draws prospects like these to your firm. You already know what kinds of information your ideal clients are searching for, but traditional online advertising doesn’t make it easy to convey that understanding to them. You have limited control over who sees your ads and limited space to make your point. With inbound marketing, you can speak directly to your potential clients’ needs through highly targeted blog posts, videos, and photos. If you’re looking to sign on more multi-family residential construction clients, you can attract those clients by publishing detailed information on safety regulations, noise control, and other issues that face residential property developers. If you prefer to focus on home remodeling clients, you can offer guidance to homeowners in a more personable tone using non-technical language. 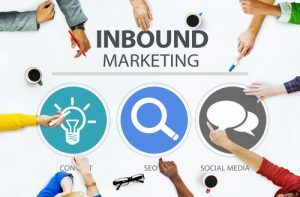 Investing time in developing an inbound marketing plan helps you define exactly which type of client you’d most like to attract, identify the topics those potential clients are researching, and outline the content that will reach them most effectively. Before they even consider doing business with you, your prospects need to see your firm as a group of knowledgeable, skilled professionals they’ll enjoy working with. Informative, engaging content on your website can do a lot to start building that kind of relationship with prospective clients without any extra effort from you. On the other hand, a smattering of disjointed, error-filled blog posts can have the opposite effect. Carefully planning your inbound marketing strategy helps ensure you provide content that shows your firm in the best light possible. You’ll also be able to plan for content such as videos and behind-the-scenes photos, which not only inform, but also build valuable personal rapport. For more tips on developing an effective inbound marketing plan, contact us at Construction Monitor.